Casco Systems is a proud member of the Control Systems Integrator Association (CSIA). CSIA seeks to enable industries everywhere to have access to low-risk, safe and successful applications of automation technology by advancing the business practices of the system integration industry. CSIA helps its members improve their business skills, provides a forum to share industry expertise, and promotes best practices for business management. Founded in 1994, CSIA is a not-for-profit, global trade association for system integration companies. CSIA has more than 400 member firms in 27 countries. 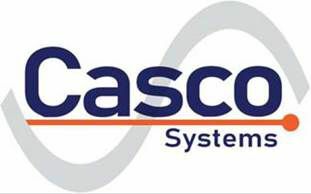 Casco Systems proudly subscribes as an ISNetworld Contractor. This allows us to report our safety standards and performance to multiple Clients in an efficient manner. If you are an ISNetworld Hiring Client and would like to add us to your list of approved vendors, please send an email to ISNCustomerService@isn.com with your company contact information. We are registered as Casco Systems, LLC ISN No. 400-238613. Casco Systems is a member of E2Tech. The Environmental & Energy Technology Council of Maine (E2Tech) seeks to build and expand the State’s environmental, energy, and clean technology sectors. E2Tech acts as a catalyst to stimulate growth in this sector by facilitating networking opportunities, serving as a clearinghouse for objective information, and leading efforts to promote the sector.